Last week I started my Christmas Shopping – by browsing the charity shops! I also bought a brand new make up purse as requested by one of my daughters, for £2 from the Dorothy House shop. In the Dorothy House shop I picked up this brushed cotton bedding for £7, which is warm as well as very seasonal. 4. We also had a clear out of children’s books which I have donated to Oxfam. 5. 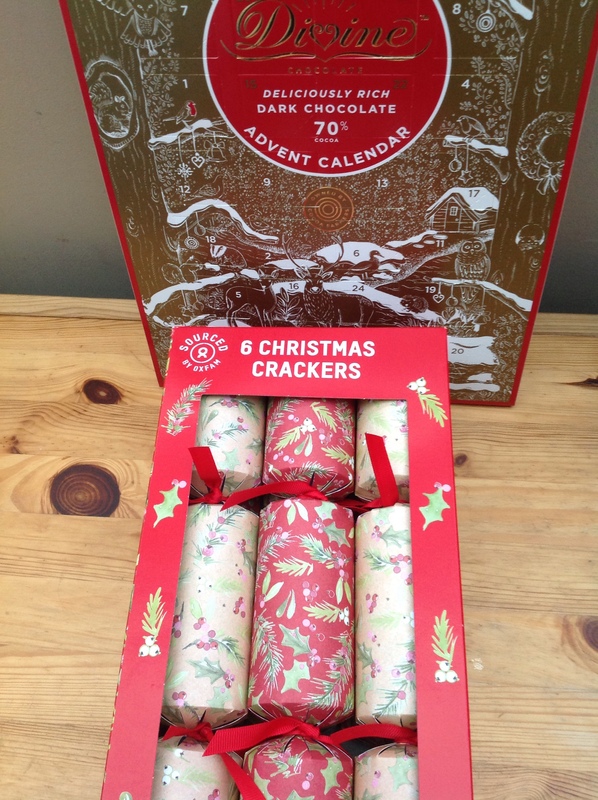 Finally, although not a Thrifty Find, I did buy the girls’ advent calendars and our Christmas crackers from Oxfam. Have you started Christmas shopping yet? 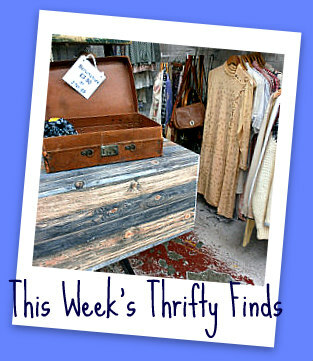 Do you shop for second-hand gifts too? Today sort of marks the beginning of Advent (well, actually it was yesterday as it starts on the fourth Sunday before Christmas but I digress). My children awoke eagerly this morning to open their individual Advent Calendars which, of course, are filled with chocolates. But how many advent calendars do they need? In previous years I have spirited away the chocolate ones and used the contents for baking cakes and other treats. As the girls have grown older, though, they have wanted to keep onto the calendars and I began to think I was just being a misery in denying them a gift that had been given with love. As time has gone by the wooden calendar has been used less and less and, instead, has taken up precious space in our house. As I am still on a de-cluttering/house selling mission I decided that the time had come to get rid of it. Over the course of last month I have, sort of, been following the Minimalism Game and have put some items up for sale on our local facebook ‘free, sell, swap site’. 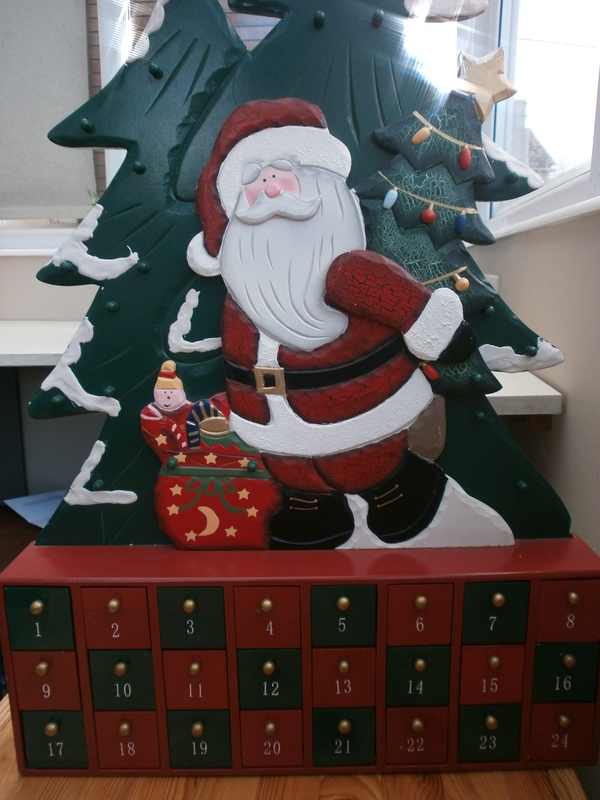 So I’m afraid the advent calendar has now gone on to a good home and I have also sold/donated other Christmas decorations that we don’t have room for (including three miniature Christmas trees). All the money that I have made from selling these items is going towards a family Christmas treat so that we can enjoy an ‘experience’, rather than just keep onto stuff. 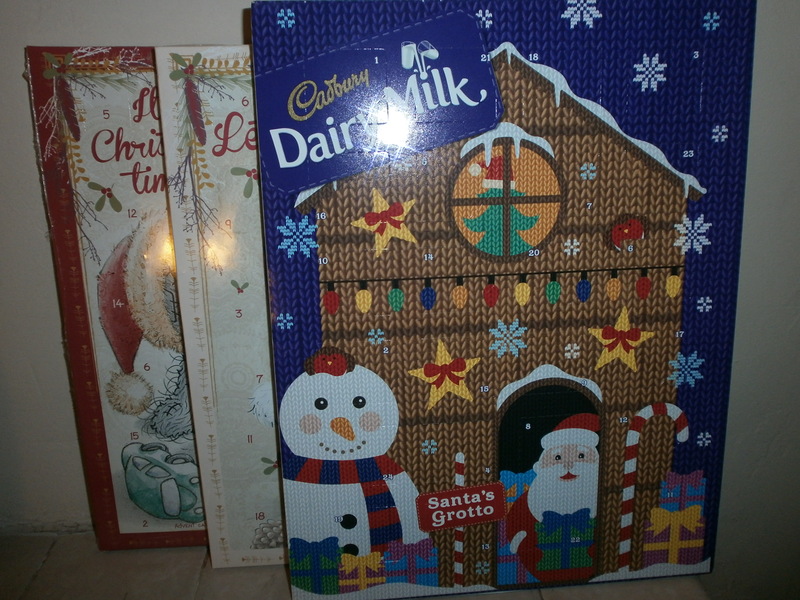 And the girls also agreed to donate one chocolate advent calendar each to the local foodbank. It seems madness in a time when so many children are without that mine should have more advent calendars than they know what to do with. Incidentally, if you’re looking for an alternative to advent calendars and chocolates have a look at this great post about advent activities from the brilliant blog: my make do and mend year.